We hope you find what you are looking for on this site - if not, tell us via the COMMENTS link on the left. Alternatively, you can email us at the address shown below. Formed in 1878 as a recreational facility for employees of the then Calico Print Works, and the local community, the club has been in existence for over 130 years. The local Glen Family owned the club until 1934 when ownership passed to Robert Craig and Sons (owners of the local paper mill) who leased the clubhouse and green to the members for an annual rent of one shilling, This arrangement remained in place until the land and building were offered to the club and its members, for the sum of £2,000, which was accepted. 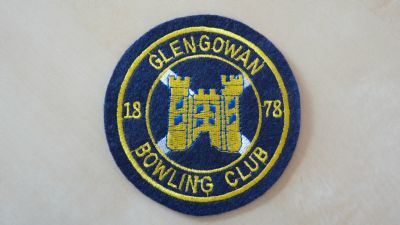 Glengowan Bowling Club has been actively involved in the Scottish Bowling Association (SBA), now BOWLS Scotland. In support of that, the club also joined Lanarkshire Bowling Association when it was formed in 1897. One of the clubs most significant changes happened in 1965 with the formation of the Ladies Section which has continued to grow from strength to strength. During 2003 the green was extended to meet the SBA requirements that followed the change from imperial to metric measurements. Had this work not been carried out, the green would be short of the minimum length stipulated by SBA rules. John Burt: 1946 & 1949. William Harkness: 1984,1985 & 1986 (outdoor): 1980-1986 (indoor) including the Commonwealth Games in 1986 plus twice capped for the over 50's (sorry Billy) in years 1999 and 2000. Graham Laing: U25's Scottish cap in 1999 and also for Wales in 2002. The Gents Section wait patiently for their first national championship victory but the Ladies Section are one step ahead of the gents having won the Scottish Rink Championship in 1994 courtesy of Isabel Frew (Lead), Sadie Wallace (2nd), Mary Nelson (3rd) and Jean Sherlock (Skip). Congratulations to all our past and future champions be they at club, regional, national or international level.